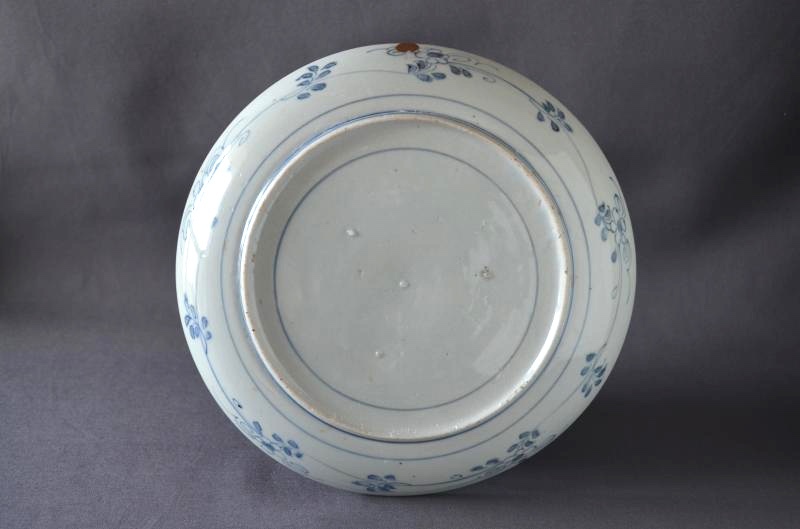 This is the plate which is same as Shibata Collection that donated to The Kyushu Ceramic Museum. 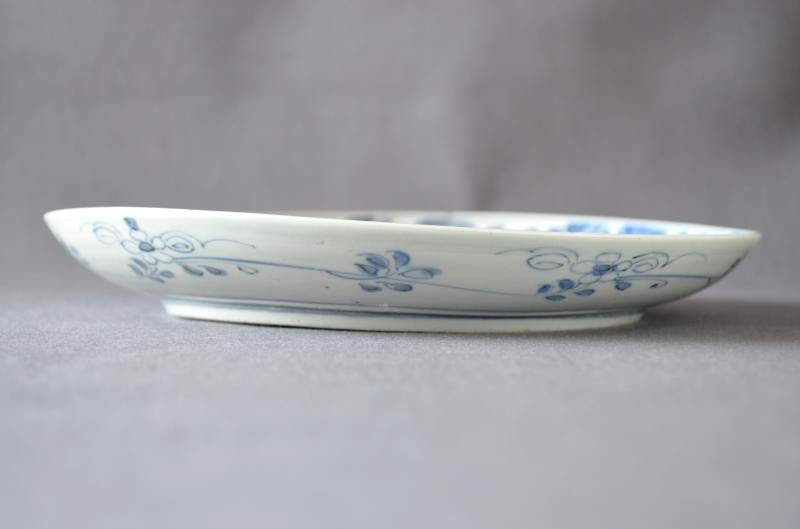 It has characteristic of Blue Old Kutani style by the blackish zaffer, bold design and shape of rim on the outer bottom. 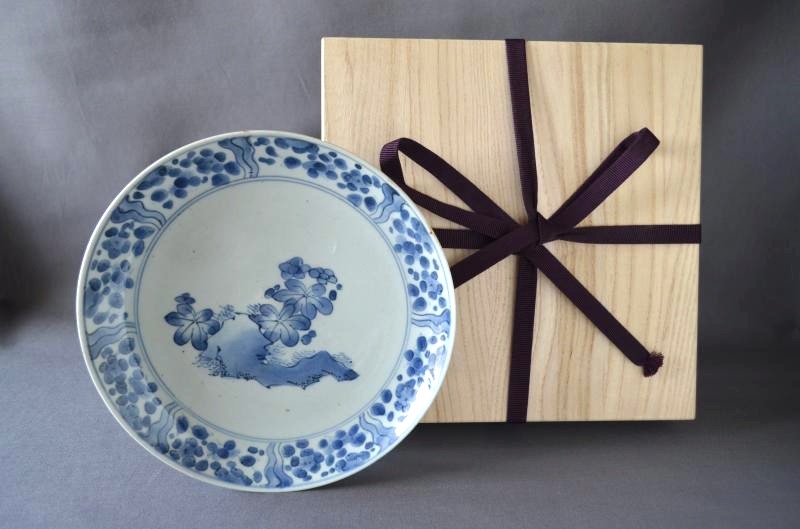 Therefore, it will be the work belonging to the last of Blue Old Kutani style. The central pattern that blank space is beautiful has been emphasized by the side pattern. 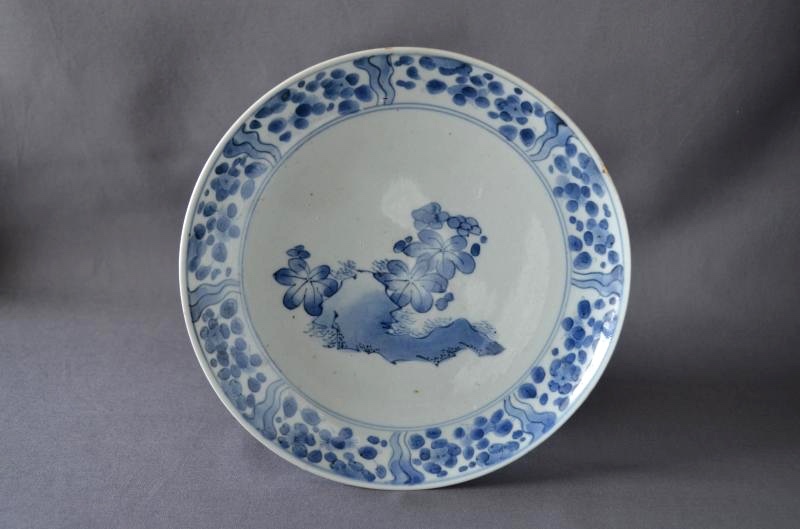 And the back side is drawn flowers and arabesque by lively brushwork. 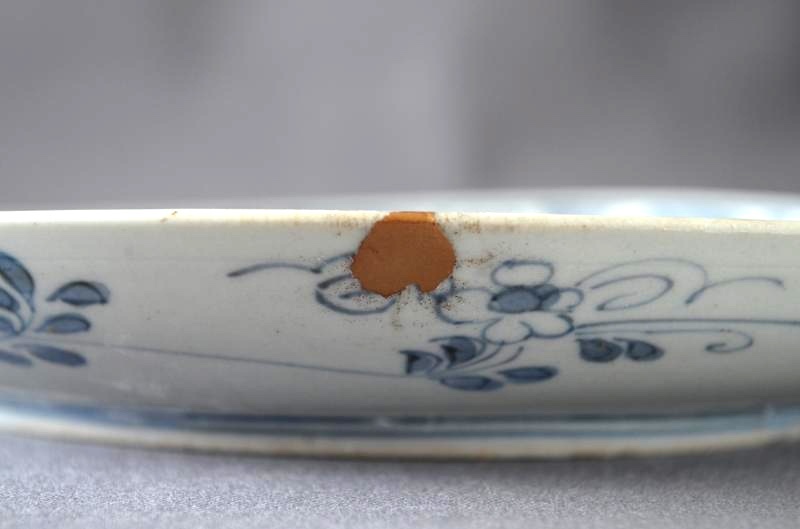 We repaired it with Urushi and pure gold Makie of 0.39”W x 0.35”H because the part of edge was damaged by the Great East Japan Earthquake. Please bulge, distortion, natural chip, blackish brown points and unglazed points regard as the evidence that is work made in the old time.